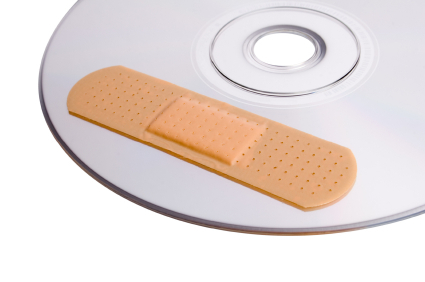 Why Is Disk Recovery Software Essential? If you have ever poured hours into a Word document and experienced a power failure, you may have been devastated to realize that you had not yet saved whatever you had been working on… and everything had mysteriously vanished with the momentary power loss. Alternatively, you may have suffered a computer virus before, and spent endless hours trying to remove it yourself or have it removed, only to finally surrender the computer to the virus, and have the entire operating system stripped out and reinstalled. Or, maybe you once deleted a document, like a message from a client or an email or just a file you’d been working on, and suddenly realized, after deleting it of course, that you needed it after all, and can’t find a copy anywhere. These kinds of situations happen to people every day, and if you are reading this, it is likely you have experienced one of these examples of data loss or have a similar story to tell. However, although each of these are common problems, they also have a common solution: disk recovery software. What Can You Do With Disk Recovery Software? With disk recovery software, it is possible to recover almost any kind of file that ever existed on a computer. It is possible to recover files that were once encrypted or compressed, or both. It is possible to recover an email that was deleted, or a hundred, whether they were deleted accidentally or deliberately. It is even possible to recover files over a network, like files located on hard drives in other computers in other buildings, potentially in other cities, states, or countries. From a more local setting, you can also use disk recovery software to recover files you stashed in your recycle bin and then deleted. You can recover files that became corrupted on a failing hard drive. You can even recover files from removable media, such as CDs, DVDs, and flash drives. With modern disk recovery software, it is even possible to recover files in certain cases from failing disk drives with bad sectors. There are numerous advantages to disk recovery software, especially when you are in need of a method to bring back extremely important files you forgot to back up or lost due to drive damage. However, one of the other advantages of modern disk recovery software is that it has become increasingly user friendly. Not too long ago, disk recovery required professional software and professionals trained to use it. Now, more than ever, disk recovery software is available to the consumer and has been designed to be used by the consumer, which means that whether you are a computer novice or a computer expert or anywhere in between, if you have missing data and a disk recovery software package, your chances are better than ever of being able to locate and retrieve data that, only a few years ago, may have been irretrievably lost. In this review, you will be provided with information on factors to consider when choosing disk recovery software, as well as some of the leading options in consumer disk recovery software packages available today. What Should I Look For In Disk Recovery Software? When purchasing disk recovery software, it is ideal for the software to contain a variety of features, enough ease to make it fully usable by computer novices, a high efficiency at searching for and retrieving missing data, and considerable manufacturer support. Arguably, the most important of these requirements is the effectiveness of the software in recovering the data; it is pointless to have disk recovery software that is consistently unable to find your disks or your data. However, each of these factors bears consideration when making a purchase, and the price of software should be weighed against its features. The following disk recovery programs are among the leading disk recovery programs available for consumers. Each of the disk recovery programs is available for purchase online, and they range in price from $50 to $130. The program that will work best for you will depend on your specific needs and the configuration of your hardware, but it is likely that most of the programs described will work with the majority of computer systems out there. Unless stated otherwise, the programs below are designed for Windows operating systems. Each of the programs is generally comparable to the next in speed and reliability, with the caveats that each program will typically include rapid and thorough modes of data recovery. The rapid modes will provide faster results, but if you are seeking the most thorough results possible, or if you do not obtain the files you’re seeking from a rapid recovery, you will want to select the thorough recovery mode. Depending on the size, speed, and condition of your hard disk, a rapid recovery may take only seconds, while a thorough recovery may take anywhere from minutes to days. With any disk recovery software, it is essential to remember that the data should never be recovered to the disk on which the data was originally lost; always recover data to a healthy external disk. With these caveats, here are ten quality disk recovery software packages currently available on the market. DT Utilities Digital Rescue is priced modestly at $50, and includes the abilities to recover files from a variety of internal and external drives, as well as from removable media like flash drives. Its supported operating systems include Windows 2000, XP, Vista, and 7. Recover My Files is priced slightly higher at $70, and includes much of the same features as DT Utilities Digital Rescue. However, unlike DT, it also includes the ability to recover files from changed or deleted partitions. However, the software package does not include phone support or a tutorial. Data Recovery Wizard, like Recover My Files, is priced at $70. It does not include the email recovery feature common to DT and Recover, but it does offer the ability to create image files, which is a good preventative measure to potential data loss. Like most of the packages reviewed, it includes support for the four most recent Windows operating systems. Disk Doctors Windows Data Recovery is the most expensive software package reviewed here, coming in at $130. Like, Data Recovery, it offers the ability to create image files. However, unlike the preceding three software packages, it does not support file recovery from RAID drives, which may be a considerable drawback to network specialists and personal users already invested in redundant drive systems. Handy Recovery is priced modestly at $50, and like the preceding two software packages, includes the ability to create image files. However, it supports recovery from considerably fewer drives, and will not recover files from SATA drives, RAID drives, external hard drives, or removable media like CDs, DVDs, or flash drives. The lack of SATA support is particularly problematic, as the majority of today’s laptop hard drives are SATA-based.